Vannak Anan Prum is a Cambodian survivor of human trafficking. While looking for work on the Thai–Cambodian border, he was detained as a slave on a fishing boat, enduring hard labor and hellish treatment for four grueling years. 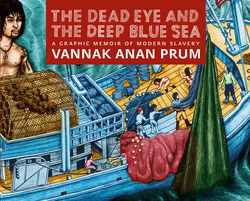 After making his escape by literally jumping ship, Vannak was sold by his ostensible rescuers on the Malaysian coast to a plantation owner and police official. After another year of hard labor and imprisonment, a human rights organization helped him finally return to his family. 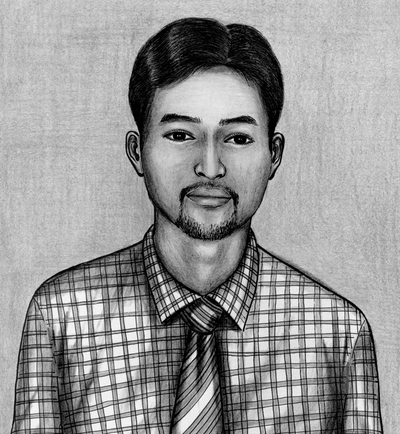 At home in Cambodia, he drew pictures of what he remembered to explain his whereabouts during the course of his years as a modern-day slave. Though never formally educated or trained in art, Vannak has loved drawing since childhood—from figures traced in the dirt, to tattoos etched into skin, to these pencil and ink illustrations detailing his personal odyssey. In 2012 Prum was given a State Department Human Rights Defender Award, presented to him directly by then-US Secretary of State Hillary Clinton.